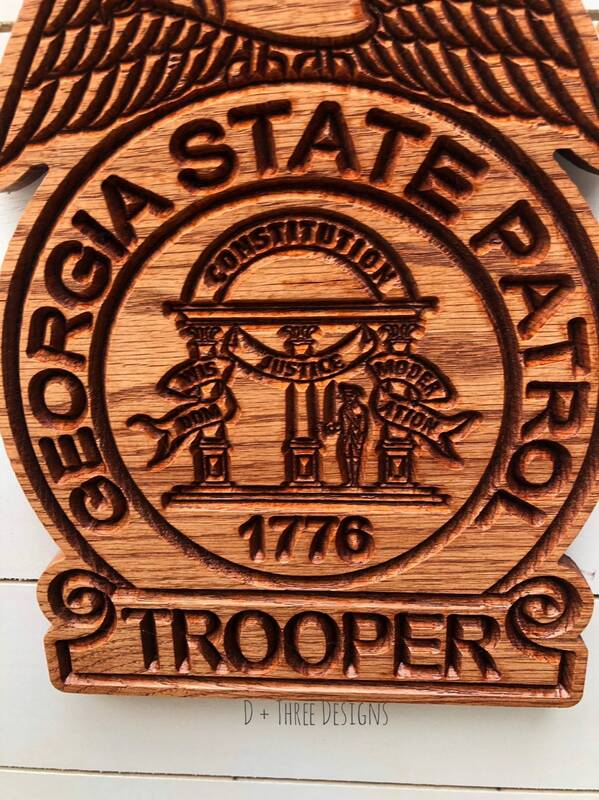 This listing is for a Georgia State Police Trooper Wooden badge made from 1” oak. 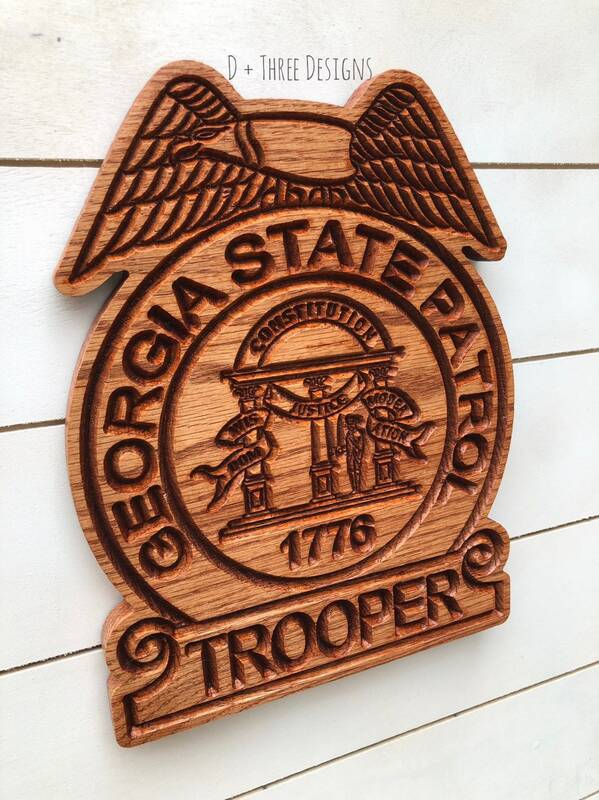 The Georgia State Police badge is great for a trooper academy graduation or trooper retirement gift. 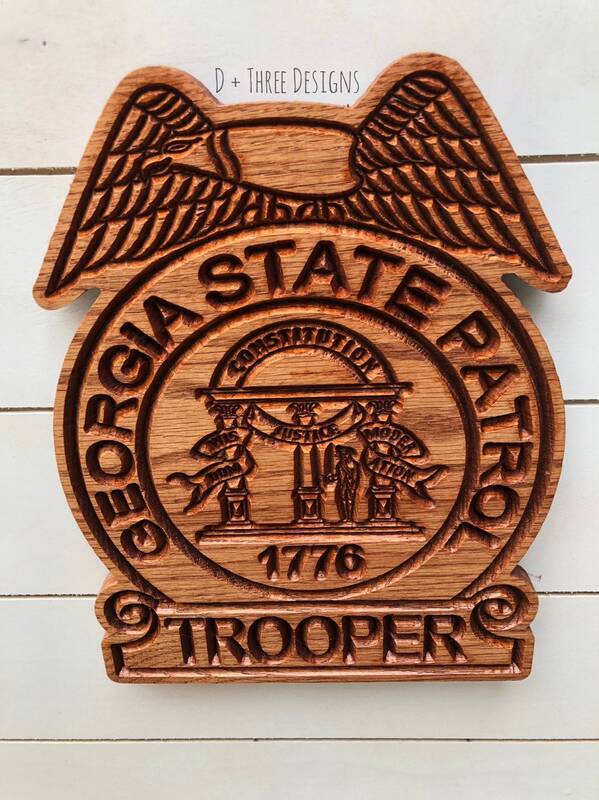 The Georgia State police badge measures between 10-12” tall. 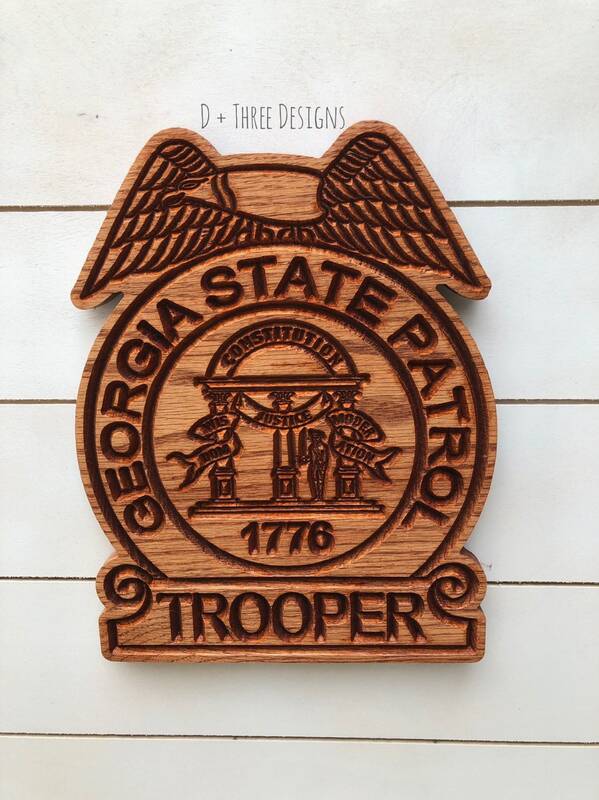 Let us know what stain color you want your Georgia Trooper badge plaque. 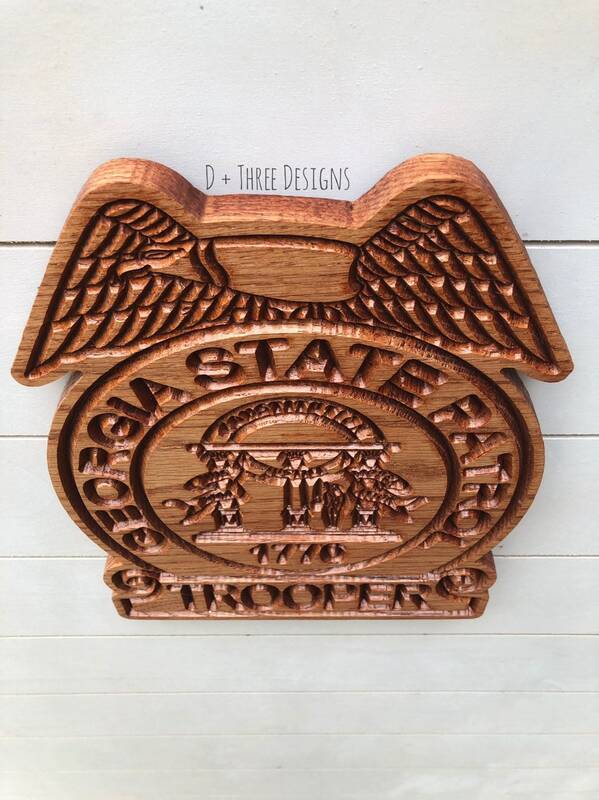 The trooper badge in the photo is stained gunstock. 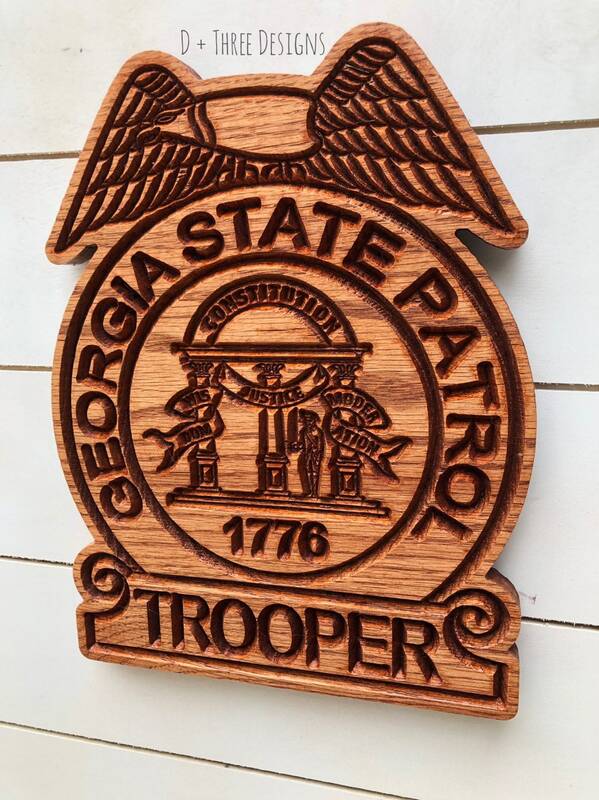 We can do your Departments Badge, Patch, or Seal made custom for you! We ask that you send us a clear photo of your badge, patch, or seal so we can design your custom badge, patch, or seal for you. We will send you a proof prior to cutting. 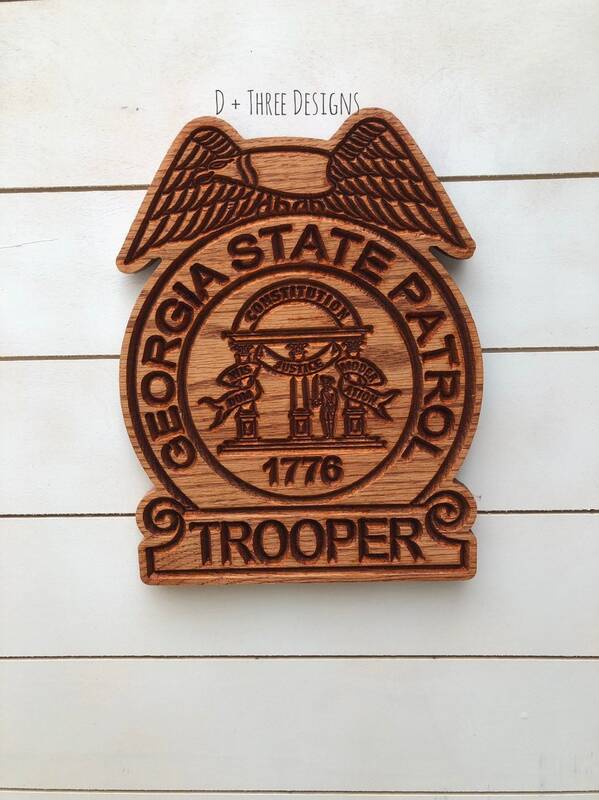 Your wooden badge, patch, or seal will come sanded, stained, and sealed with a saw tooth hanger on the back. These make great academy, retirement, promotional. or just a great gift. We can put a name or badge number as well just let us know! 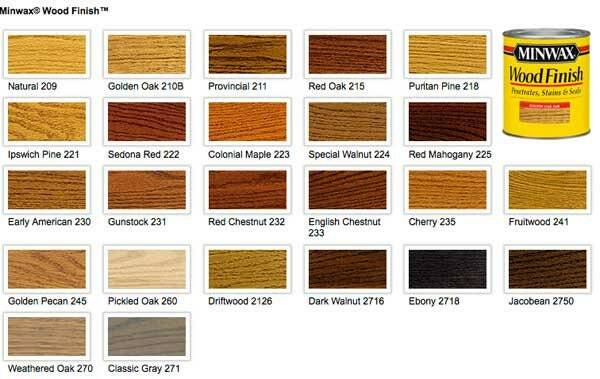 Orders are custom cut/painted as received so please allow us up to 1-2 weeks to make, sand, paint, and ship your order. 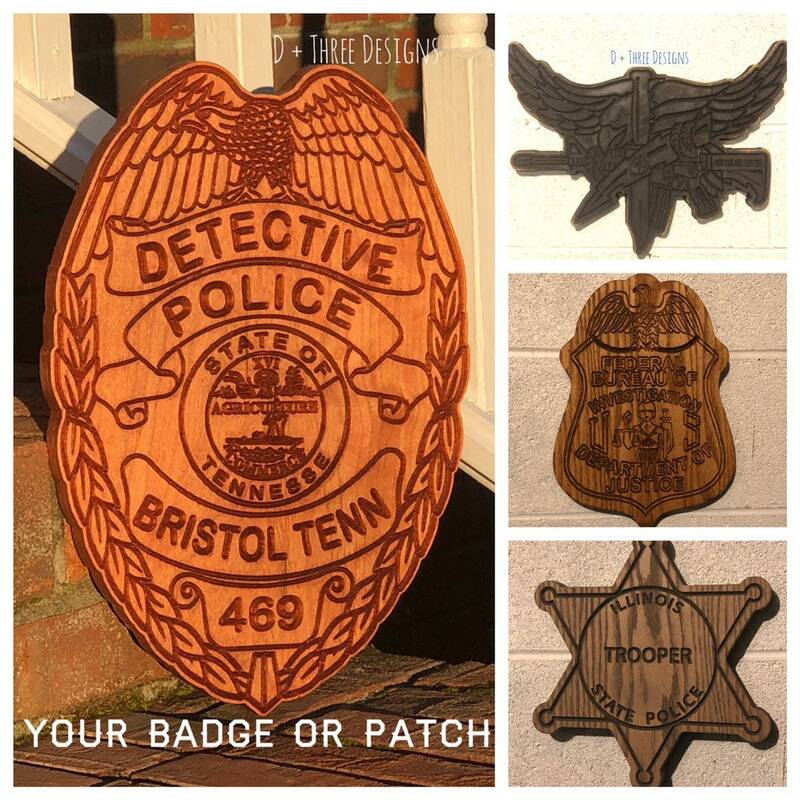 The main Detective badge is stained gunstock.